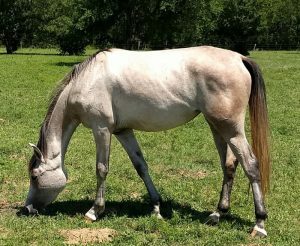 2015 Full Arabian Gray Filly, double Rushcreek breeding. Looking for the right person to bond with, halter broke and loads! Excellent build and movement. Great potential for distance or dressage.